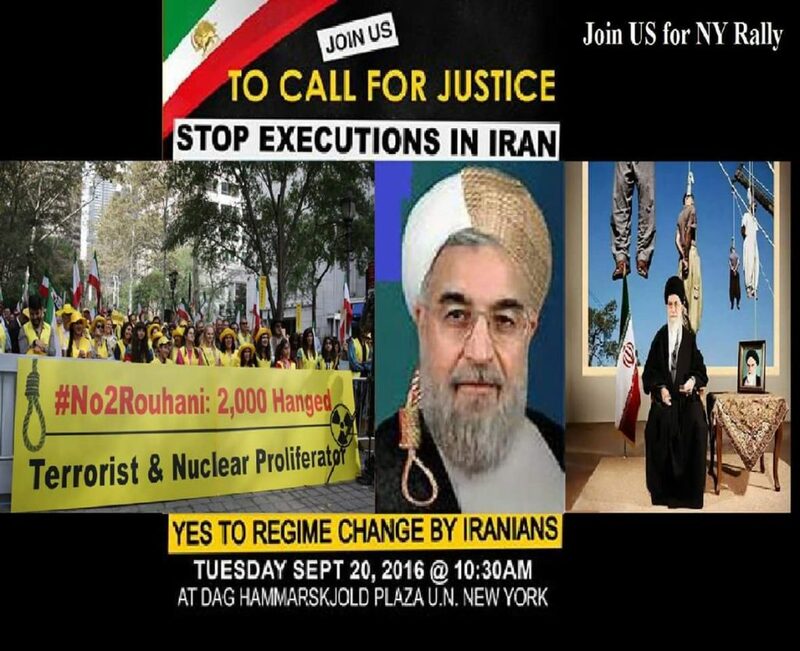 Iranian regime President Hassan Rouhani is scheduled to travel to New York to attend the United Nations General Assembly on September 25th. The Iranian opposition opposes Rouhani’s presence at the annual meeting and believes that he should be expelled from the U.N., as his attendance violates the U.N.’s philosophy of peace. Rouhani attended last year’s General Assembly as well, but circumstances have changed dramatically over the past year. Today's #FreeIran rally in New York was amazing & there was a huge turn out! For one thing, this is the first U.N. General Assembly since the United States withdrew from the Joint Comprehensive Plan of Action (JCPOA), also known as the Iran nuclear deal. The JCPOA was considered to be one of Rouhani’s greatest achievements as President, and its failure is indicative of systemic breakdowns at the highest levels of the regime. To make matters worse, the U.N. Security Council Meeting next week will be headed by U.S. President Donald Trump. Trump has been notoriously hostile to the Iranian regime. In addition, the regime is in the midst of an escalating series of economic and social crises, the greatest of which is the possibility of regime change. The Iranian opposition, led by the MEK and the National Council of Resistance of Iran (NCRI), is a constant source of anxiety for regime authorities, who have sought to suppress the opposition. The U.N. Security Council’s member states are expected to attend the General Assembly as well, due to the coordination in meeting times. Iran may attend this meeting as well as a non-member, but it is unclear if it will do so. Hussein Shariatmadari, director of the Kayhan government newspaper, advised Rouhani not to attend the General Assembly. He believes that by skipping the session that Iran can embarrass President Trump. Shariatmadari sees this as a necessary maneuver to counter the “psychological policies” that Trump has directed against the Iranian regime. His advice to Rouhani is to have someone from the Foreign Ministry attended the Security Council meeting in Rouhani’s place. Javad Zarif Khonsari, the regime’s Minister for Foreign Affairs, would be the preferred surrogate for Rouhani in this scenario. He would be expected to use his knowledge of English and various issues to humiliate Trump. It is fairly unlikely that this gambit would work. The regime is not in a position to bargain with the Security Council, as it is already under U.S. sanctions. Rouhani’s participation in the Security Council is mostly an issue of vanity for the regime. The Iranian people want the regime to be banned from the U.N. entirely. 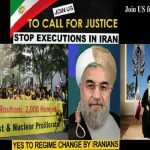 Rouhani and the Iranian regime violate the principles of human rights and peace that the United Nations was built upon, and they should be expelled from the U.N. entirely.